You guys. 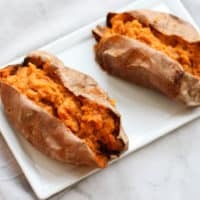 These Twice Baked Sweet Potatoes are incredible. It’s basically like eating dessert for dinner with all of the brown sugar, spices, and cream cheese that it’s in them. You get the roasted potato flavors with the creaminess of mashed potatoes so it’s the best of both worlds. 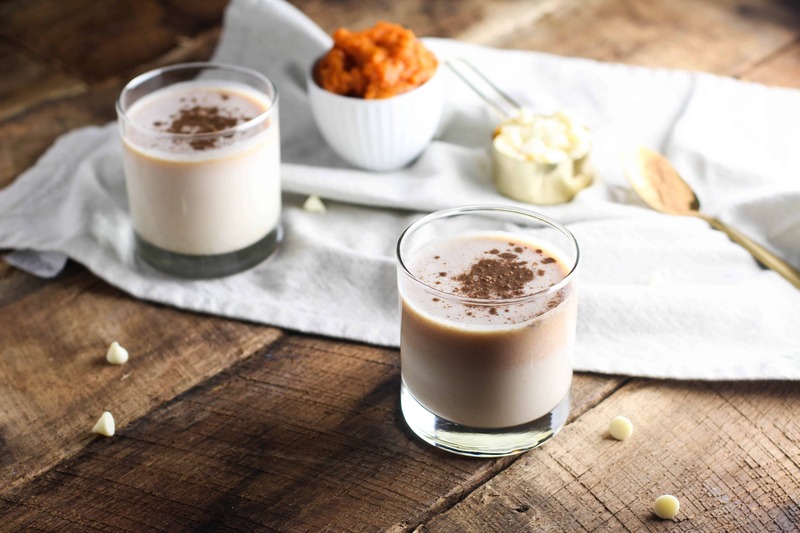 The warming flavors like cinnamon and nutmeg go great with all of the dishes on your Thanksgiving table! 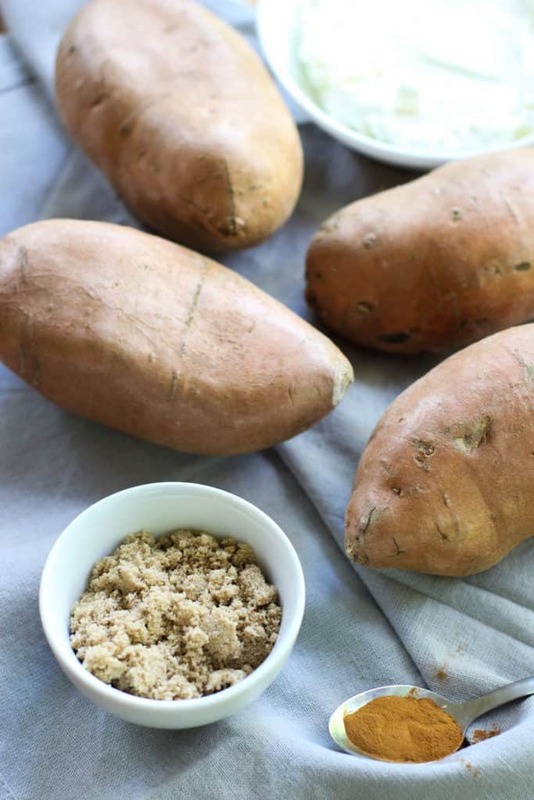 Making them as sweet potatoes is even better because of all of the fun spices you get to play with. I mean who can say no to brown sugar, cinnamon, and nutmeg?! Try a little ginger or cayenne if you want a kick too! 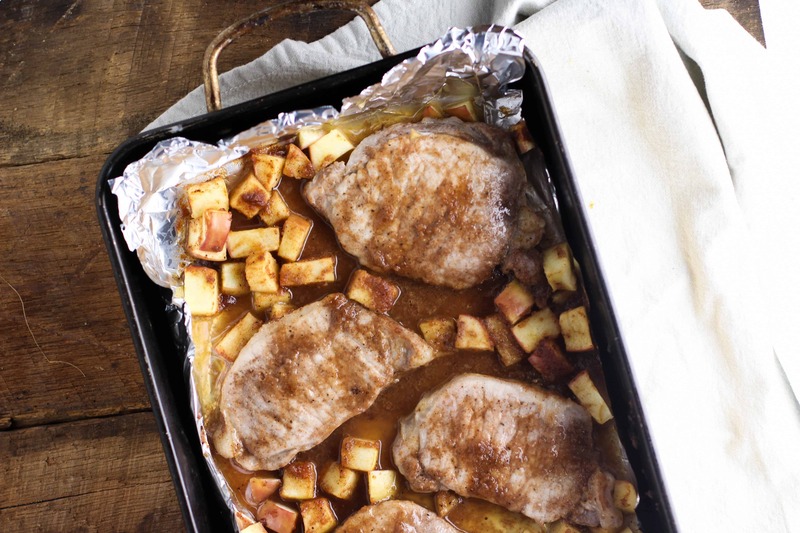 They are one of the easiest ways to bring some quick fall flavors to your meal. An hour of hands-off time in the oven and mix together some ingredients once it’s done sets you up for a great fall inspired side dish. I personally can’t wait to eat these at Thanksgiving! How you make the mashed potatoes is up to you. I prefer a little bit chunkier potatoes so I hand mashed them with a fork. Be sure to mix it well to avoid having chunks of cream cheese in your bite…not that that’d be a bad thing. If you prefer creamier potatoes, try a hand mixer to incorporate the ingredients. 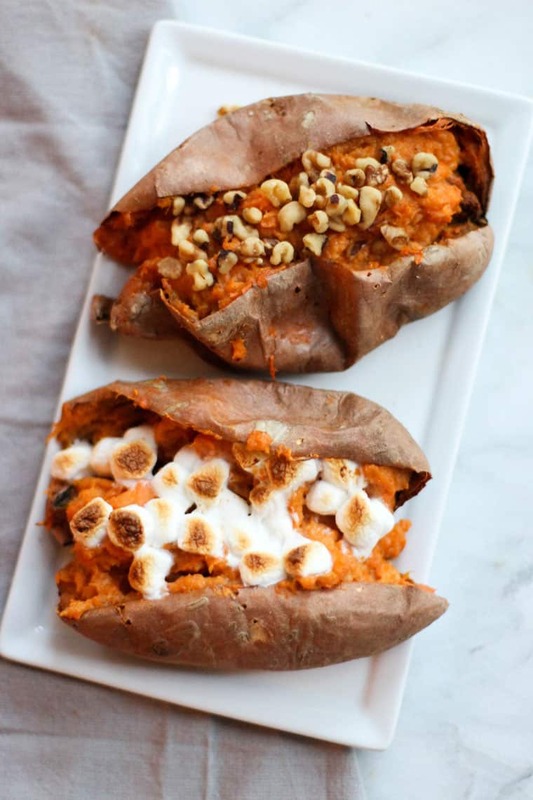 Another thing I love about making these twice baked sweet potatoes is that fact you get to dress them up like candy. Throw a few mini marshmallows on top and melt them if you’re a fan of sweet potato casserole. Try crushed pecans or walnuts if you want a little crunch too. Bonus points if they’re candied! Crumble a little of this cayenne candied bacon if you want something spicy and savory on top too! 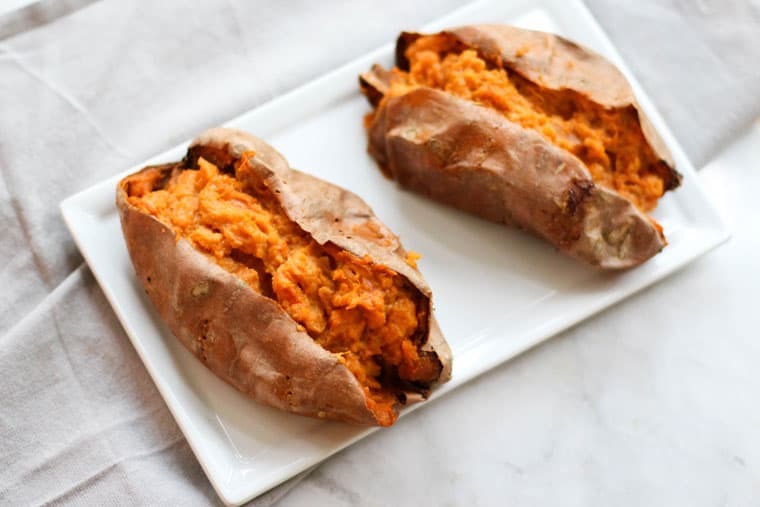 These Twice Baked Sweet Potatoes are easy to make and so delicious! It's basically eating dessert for dinner! 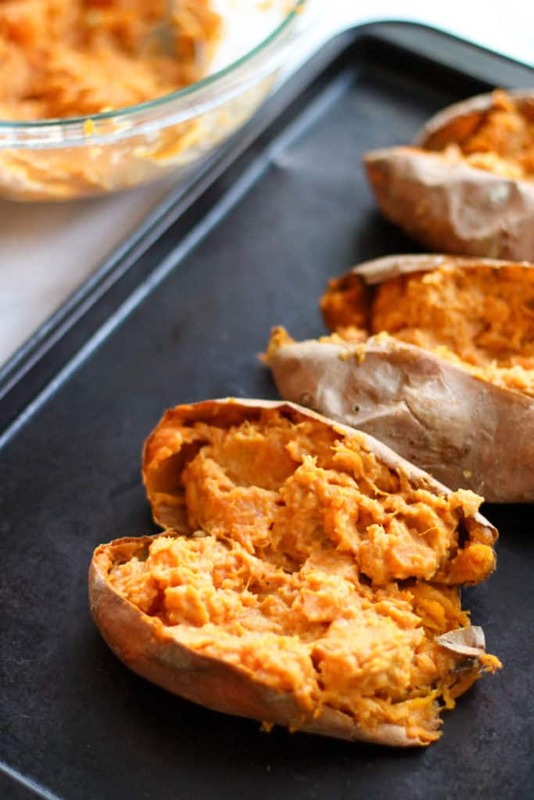 Scrub the sweet potatoes and poke each 8-10 times with fork. Place on a cookie sheet and bake for one hour. 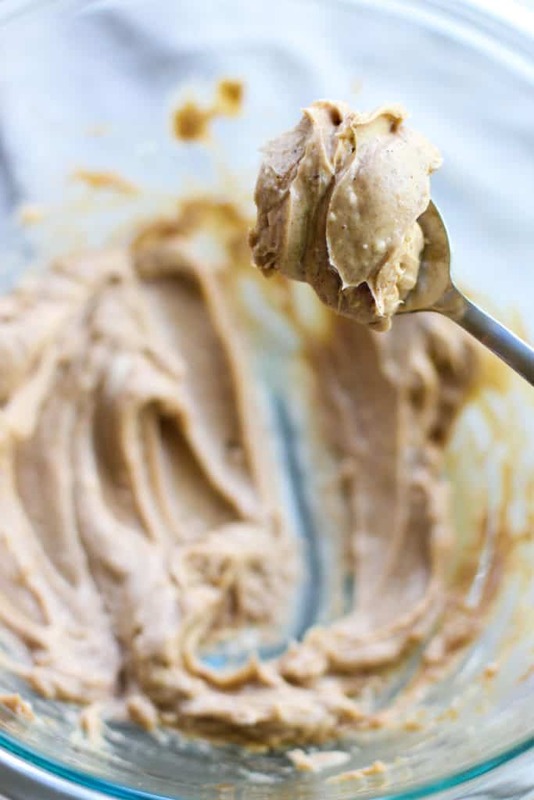 Mix the cream cheese, brown sugar, butter, cinnamon, nutmeg, salt, and pepper together in a bowl. Split potatoes in half and remove the flesh. Add to cream cheese mixture and mix well. Blend with hand mixture if you prefer creamy potatoes. Scoop mixture back into potato skins and bake 5 minutes or until cooked through. Optional: Serve with mini marshmallows or crushed pecans or walnuts.